This afternoon, QFC Engine 91 was summoned to Sidney School Road in Franklin Twp for a "cat in the tree". The Engine Company determined that a Tower Ladder was necessary to reach Flame the Cat and reached out to the Clinton Fire Department. Tower 45 (Clinton) responded with a full crew and set-up for the rescue. 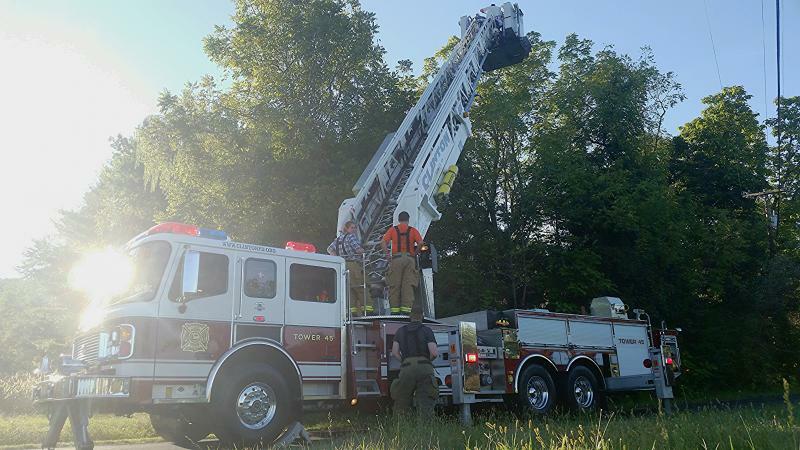 CFD Capt Dylan Desaulniers, CFD Engineer Billy Smith and QFC EMS Lt Brian Morris headed up in the Tower and were able to successfully rescue the cat from it's perch 50 feet off the ground. Engine 91/Tower 45 working together again!